Styled with roland blouse . 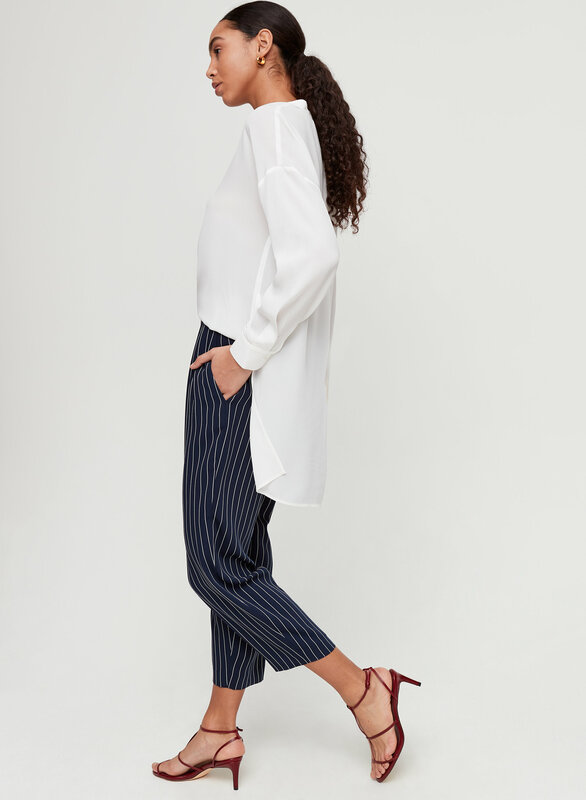 Tailored with yarn-dyed matte satin, these feminine trousers have precise seam work and flattering darts. 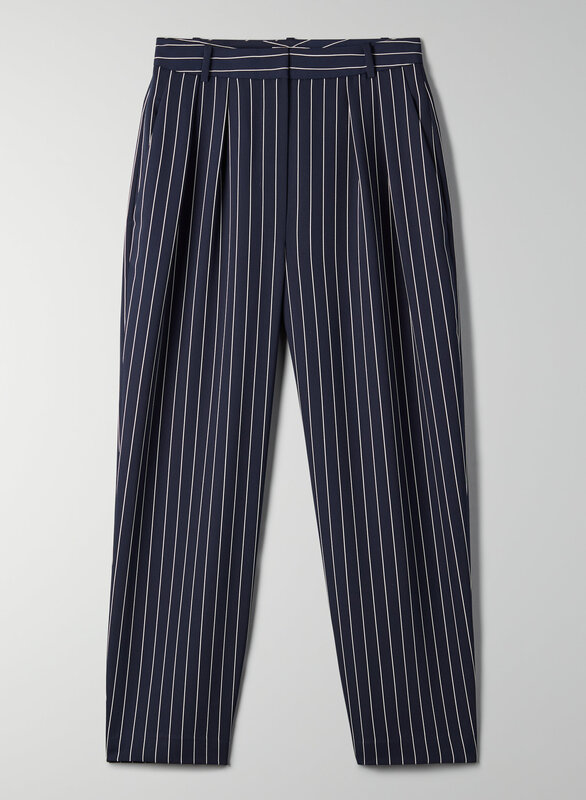 Nice looking trousers, however the stitching that makes the stripes of the pants are coming out. Not super happy about that. 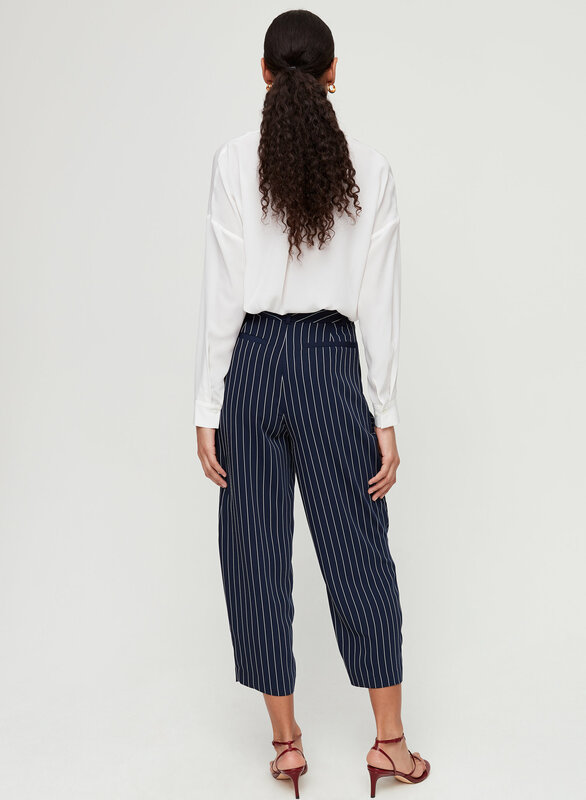 MY FAVOURITE ARITZIA TROUSER PANTS. It looks good and is so soft and flowy. (sorry not good with words). It also emphasizes your waist. It make it look like you have tiny waist hah! GO ONE SIZE UP. Im size 4, tho its fits me its a bit tight so i went size 6 which has more room for t shirt to tucked in. 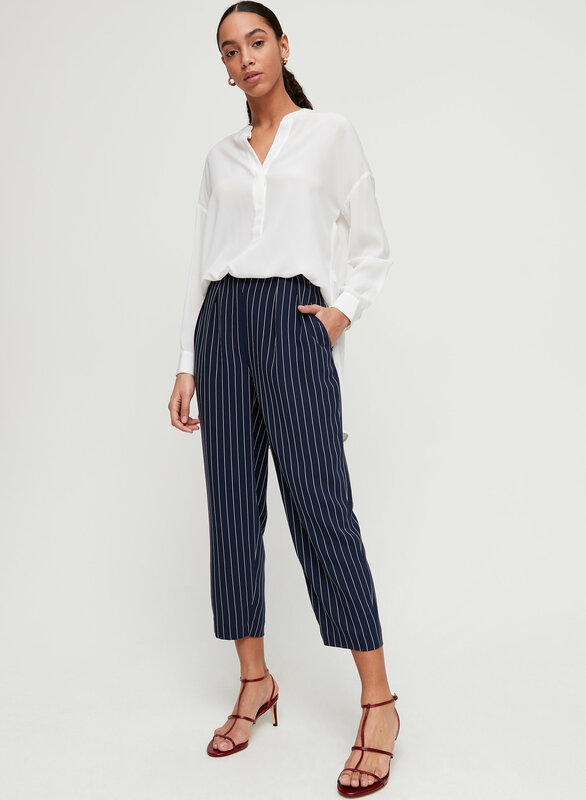 Like the style, material and fit of the pants. I have 2 pairs of them. perfect pant for summer and fall! fits true to size and i already reccommend them to a friend who made the purchase! one of my fave pants!!! 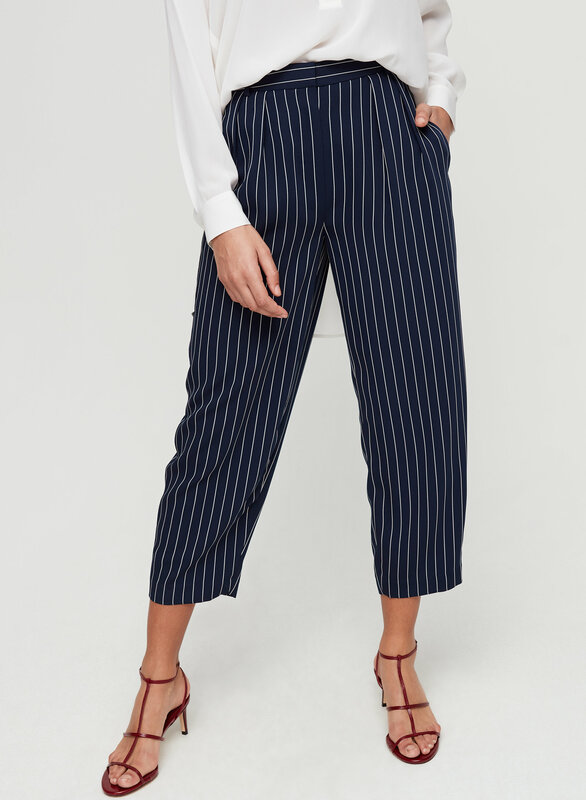 I purchased these pants online during the sale, and wow I'm so pleased with them! They are so flattering, lightweight and comfortable. I have three pairs of these! I have the regular black, black and bone stripes and the off white with black stripes. I love matching them with the matching camisole and/or the matching Kahlo jacket. True to size!